The 1909 school house-now the Kindergarten room. This bucolic corner has housed a school since the beginning of education in Sonoma County. It was the public school for the area from the 1860s until the late 1950s, when it consolidated with Spring Hill to form Twin Hills. 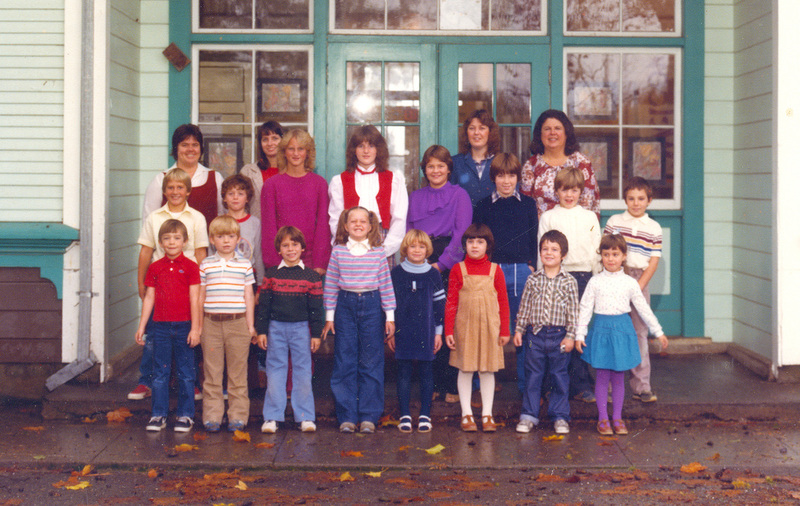 In 1982 teachers Janlyn Heath and Mary Jo Kinser brought it back to academic use as Pleasant Hill Christian School. 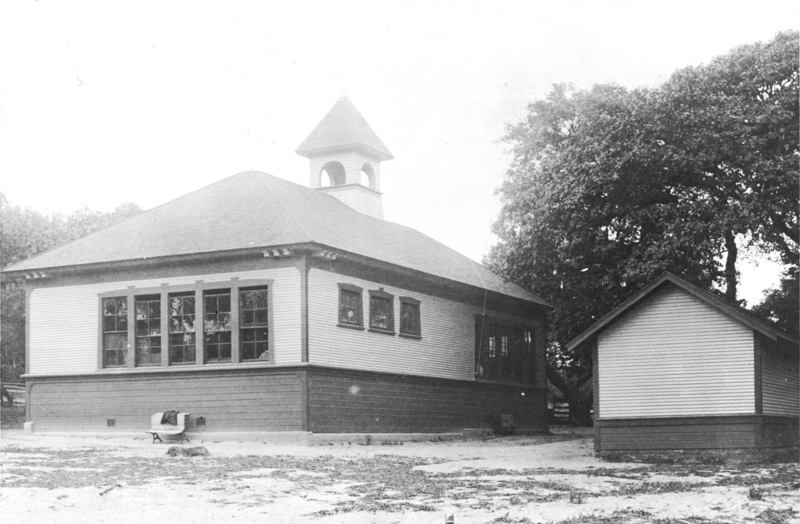 Back of 1909 wing, still used as multipurpose room. 1850s: The Sebastopol area (then called Pine Grove) is settled and a town is formed. The surrounding area was part of the Rancho Cañada de Jonive. 1865: Pleasant Hill School is built. 1872: Nearby Spring Hill School is built (West of current Bodega Highway and Watertrough Road). 1880s: Surrounding area boasts ten school districts. 1908-9: Southern half of current school (Ms. Porter and Mrs. Reifstecks' rooms) built by Delos Downie. Enrollment is 18 students. 1916: Student body grows to 72 with two teachers. 1923: Famed Horticulturist Luther Burbank plants cedar tree at corner which still stands. 1909-1930: School rosters filled with names still familiar as place/road names in the area like Elphick, Mariola, Bollinger, Starkey and Kennedy. Also interesting is the diversity of Hispanic and Japanese families, who were vital to the apple ranching of the area. 1958: School outgrows building as enrollment reaches 95. Pleasant Hill and Spring Hill Schools consolidated to form Twin Hills Union School District. 1960s: Darrel Hurst, owner of neighboring Twin Hill Ranch, buys property for use as housing and storage. Hurst is a devout Christian and believer in faith-based education. 1982: Linden Heath, pastor at Occidental Community Church, leases building. Daughter Janlyn Heath and Mary Jo Kinser start teaching. Hurst donates property to the school in 1995. 2012: Founding teacher Janlyn Heath retires.